Rheinmetall tactical training for helicopter and Airborne Systems unmanned hybrid aerial vehicle. The prestigious Berlin Air Show, or ILA, takes place 11-16 September at the Berlin ExpoCenter Airport. Rheinmetall will be on hand again this year too. For over 35 years, Rheinmetall has been supplying the world’s armies, air forces and navies with increasingly sophisticated simulation and training equipment. With over 2,000 systems in service worldwide, Rheinmetall offers an array of products ranging from inexpensive desktop computer training systems to highly advanced full mission simulators for surface combatants, submarines, ground vehicle and airborne systems. 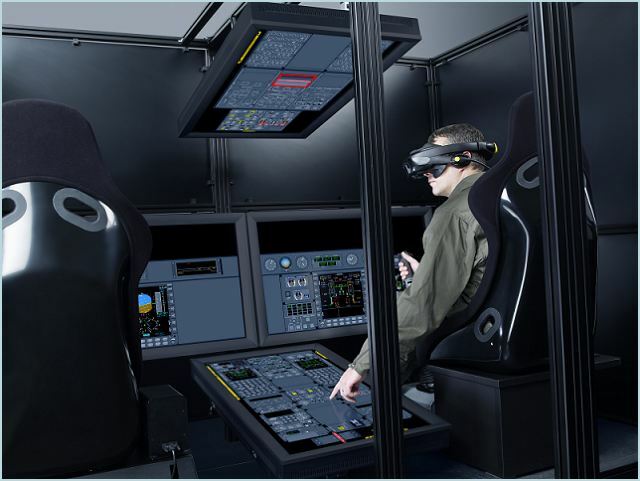 Rheinmetall is showcasing its Advanced Network Trainer (ANTares) mobile tactical training system under the rubric of the Helicopter Training Alliance (HTA). At Stand 3637/3638 in the Helicenter in Hall 3, the Düsseldorf-based Group is showcasing its Advanced Network Trainer (ANTares) mobile tactical training system under the rubric of the Helicopter Training Alliance (HTA). Housed in a 20-foot container, this versatile and flexibly deployable simulation system helps soldiers get ready for their missions, creating a challenging, highly realistic operating environment. Along with crew coordination training, ANTares can be used to prepare entire units for deployed missions – even in the area of operations. Potential applications are by no means limited to flight simulations. From transport helicopters and UAV ground control stations to main battle tanks and frigates, Rheinmetall’s modular cubicle concept enables networked joint tactical training of ground, air and naval forces, drawing on a vast variety of state-of-the-art weapons system simulations. The simulation cubicles can be freely configured as a plug-and-play unit in containers; together they form the highly mobile ANTares training system. The ANTares containers can be transported to the area of operations by road, rail, air or sea. The system also takes into account the need for an up-to-date database for effective mission rehearsal. Exploiting the latest reconnaissance data, the intelligent workflow of Rheinmetall’s Rapid Generation Database automatically creates the required 3-D virtual world in a matter of hours. The advanced system design of the ANTares significantly reduces its lifecycle costs owing to systematic use of commercial off-the-shelf components, combining sensibly priced, flexibly configurable, requirement-oriented simulation with forward-looking expandability due to standard interfaces. Rheinmetall Airborne Systems makes the KZO unmanned reconnaissance system, one of the world’s most advanced unmanned aerial vehicles. But simulation technology is not the only field in which Rheinmetall is present at ILA. Since 1 July 2012, Rheinmetall’s former Airborne Systems unit has formed part of the joint venture Rheinmetall Airborne Systems, having joined forces with Cassidian. 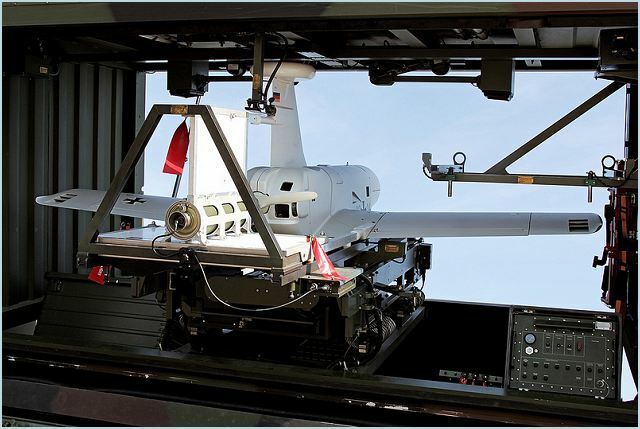 For Cassidian, partnering with this part of Rheinmetall perfectly complements its existing product range in the field of unmanned aerial systems, or UAS. Under the SAATEG programme, Rheinmetall Airborne Systems has supported the Bundeswehr with the Heron system since 2010, a long-range, unmanned aerial reconnaissance system now deployed in Afghanistan; (SAATEG is a German acronym meaning “System for imagery reconnaissance deep in the area of operations”). The Heron has clocked on more than 10,000 hours of flying time in the area of operations, and is set to remain in theatre for at least another two years. The KZO and Heron both make a key contribution to protecting friendly forces in Afghanistan. Thanks to its under-the-floor cargo loading system, the joint venture also plays an important role in the giant new A380 passenger jet’s success. All A380 aircraft – and numerous other planes as well – will be equipped with the Bremen-built system. Furthermore, Rheinmetall Airborne Systems has been awarded a contract to develop and supply the Load Master Control System for the A400M military transport plane. Rheinmetall Airborne Systems has its own stand at this year’s ILA in the UAS Plaza (Display C4). Together with KZO and Heron, a new tactical UAS concept is on show: in cooperation with Swiss UAV, the company is developing a hybrid airborne system that combines the capabilities of a helicopter and a fixed-wing aircraft, thus lending itself to a wide variety of missions. Joining RAS’s existing airborne platforms, the new system creates a product family that blends extensive operational experience with cutting edge technical innovation. A further Rheinmetall highlight at ILA is the OPALE. Standing for Optionally Piloted Aircraft Long Endurance, in future this twin-engine DA-42 aircraft will be able to operate in manned or unmanned mode. The system is therefore likely to prove especially attractive to customers operating in an environment of changing aviation regulations, as well as those with diverse mission requirements and/or facing cost constraints.